Hosanna Sunday, April 14th Liturgy @ 11 am. Rite of the Lamp and Divine Liturgy, Wednesday April 17th @ 6:30 pm. Holy Thursday, April 18th Liturgy @ 7 pm, followed by Eucharistic Adoration. 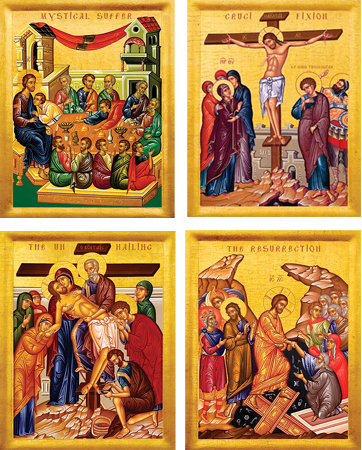 Good Friday, April 19th Liturgy @ 3 pm. Easter Vigil, April 20th Liturgy @ 11 pm. Easter Sunday, April 21st Liturgy @ 12 pm.